Deep in Pennsylvania’s Blue Ridge Mountains, a woman befriends a mysterious newcomer from Uzbekistan, setting in motion this suspenseful, atmospheric, politically charged debut. After surviving a car crash that left her widowed at twenty-two, Kathleen has retreated to a remote corner of a state park, where she works flipping burgers for deer hunters and hikers—happy, she insists, to be left alone. But when a stranger appears in the dead of winter—seemingly out of nowhere, kicking snow from his flimsy dress shoes—Kathleen is intrigued, despite herself. He says he’s a student visiting from Uzbekistan, and his worldliness fills her with curiosity about life beyond the valley. After a cautious friendship settles between them, the stranger confesses to a terrible crime in his home country, and Kathleen finds herself in the grip of a manhunt—and face-to-face with secrets of her own. 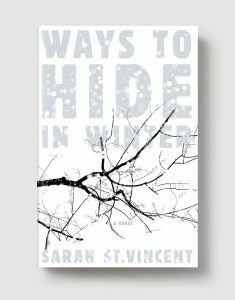 Steeped in the rugged beauty of the Blue Ridge Mountains as America’s War on Terror rages in the background, Sarah St.Vincent’s Ways to Hide in Winter is a powerful story about violence and redemption, betrayal and empathy, and how we reconcile the unforgivable in those we love. Are you reading Ways to Hide in Winter with your book group? Check out our reading group guide to get the conversation started. 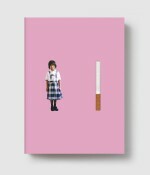 SARAH ST.VINCENT grew up in a rural Pennsylvania community similar to the one in which this novel is set. She has worked as a legal fellow at the Center for Democracy & Technology and as a clerk at the International Court of Justice. She is currently a researcher and advocate on national security, surveillance, and domestic law enforcement for Human Rights Watch. She frequently writes on these topics and has been interviewed recently by such outlets as the Washington Post, the Daily Beast, Reuters, NPR, and Bloomberg West. She lives in New York.